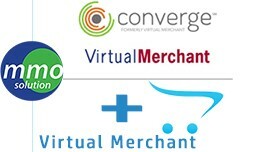 Virtual Merchant payment gateway for Opencart is an Payment extension for Opencart's site. 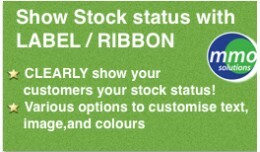 You can see more https://www.myvirtualmerchant.com/VirtualMerchant/ Virtual Merchant has been added to the already wide array of payment methods that ..
✔ Each stock selection has a specific style ✔ 5 types of label ✔ Ribbon label + ribbon top left + ribbon top right + ribbon botom left + ribbon botom right * you can select custome background colors or b..
Automate emails to suppliers and manufacturers- save yourself lots of time! 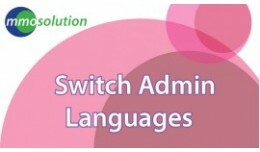 Easily configure this extension so that : 1. 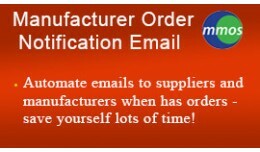 If a product has a SUPPLIER email, then sends to that address. 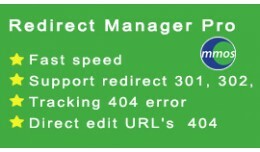 If not, then sends to MANUFACTURER'S email..
Redirect Manager Pro allows you to quickly and easily add URL redirections to your store. Friendly for Seo and customer. Features : - Support redirect 301, 302, 303 - Tracking 404 error with counting ow many times visited - Direc..
Minimise the risks that can happen with request, comment, transaction on your Opencart store. 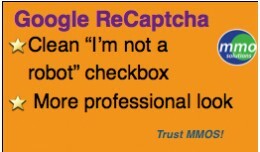 "Google reCaptcha" completely replaces the annoying old typing default Captcha. Don't make your customers have to type tiny characters. Quick, simple a.. 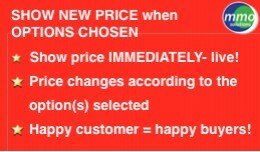 Feature + Customers can IMMEDIATELY see their new price when they select options + With each different option, the price updates- LIVE + Customers will find purchasing easier, when they see the the price before adding to cart ..
+ [NEW v2.0] Fully compatible with Journal2 theme Ticketing support system for OpenCart! At last! 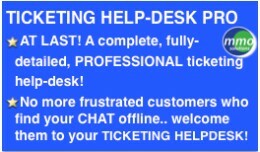 Provide professional customer support with this awesome ticketing extension by MMOS. 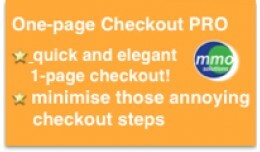 A complete ticketing system to help you provide t..
One-page Checkout helps minimize customer annoyance at all those annoying steps needed from checkout step to payment step. Your customers will love our unified one-step payment! Also supports both the default Opencart modules (Shipping, Pa..
A clever and efficient tool for upselling! 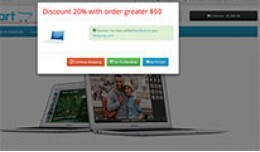 Customers buy X number of products, and get Y products free. All of the calculations are done by the module-no worries about tricky equations! 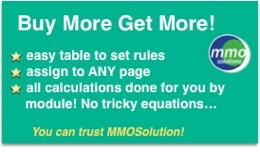 • Easy table to set rules • Set one or mor..
* Multi -anguages * Mijoshop Compatible =>Yes * Multi Stores * Unlimited buttons * Free text, images promotion * Bootstrap button style * More... custom modification If you loved our product, please rate it 5 stars! 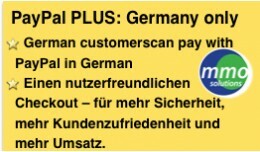 In..
PayPal Plus: German The new PayPal Plus: German extension combines the most commonly-used payment methods in the German market, all within one module: PayPal, Invoice, ELV or Credit Card â€“ your customer decides how to pay! 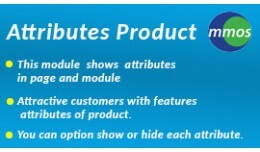 All..
- This module shows attributes on: + product page + category page + special page + search page + features module + specials module + besellers module + latest module - Attractive to customers, with attribute..
What is Product Attachments? Product Attachments is used for document-sharingshare purposes when your products have many types of attached files such as user guide, how to setup, readme, driver, stock ROMs. With any file extensions ya.. 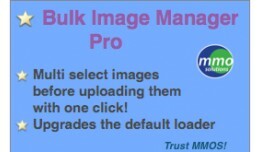 Product Attachments - Add files download to prod..
"Bulk Image Manager Pro" upgrades the default Opencart image loader, so that you can upload all your images with only one click. This extension also supports multi selection for images, so it's a great productivity extension for Opencart image m.. 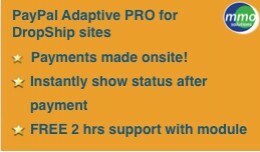 The register new PAYPAL Adaptive is hard, You should be done it before buying this module See detail https://developer.paypal.com/docs/classic/adaptive-payments/integration-guide/APIntro/ Important: Adaptive Payments is now a limited release ..
Paypal Adaptive PRO -- designed for Dropship si..
Let "Meta Tags Homepage Multi Language" do the work for you! Improves your indexing with multi-language capability for your default Opencart. Even when you set multi languages in the default Opencart settings, SEO homepage index only shows..
Switch Admin Languages upgrades the multi languages for the default dashboard Opencart. Even when you set multi languages in usual Opencart settings, ayou'll find the dmin dashboard only shows default language (English). 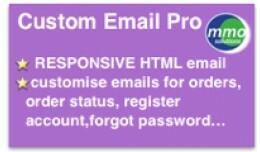 This is soFRUSTRATINGfor..
✔ Replace default email template with your awesome responsive custom email Beautiful RESPONSIVE HTML email template for your Opencart. Show off more products on your emails! Private custom status for security. You only have to set u..